The Medford Parks and Recreation Foundation in partnership with the Medford Rogue Rotary, has announced that the 2019 event will occur Friday, June 7 from 6:00pm - 9:00pm at the Santo Community Center, Medford. The Medford Parks and Recreation Foundation, a nonprofit 501(c)(3), was established in 2005, with an original board and then Foundation Director (now Medford City Manager), Brian Sjothun. The Foundation raises funds, fosters partnerships, and advocates in support of specific projects and activities that benefit our City parks and recreation programs. The Foundation is funded primarily through support by individuals, groups and businesses who are committed to the preservation and expansion of youth and adult programs as well as the City park and trail system. 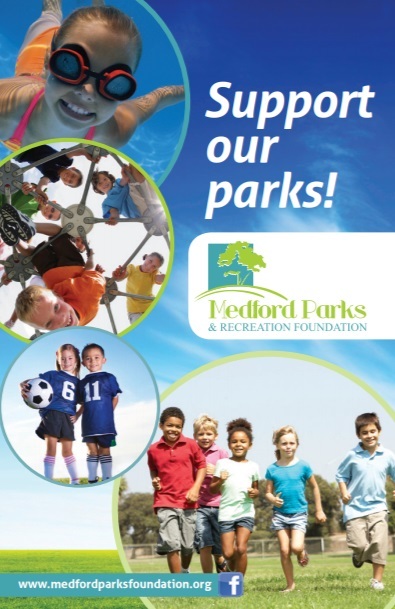 The mission of the Medford Parks Foundation is to establish partnerships to finance and promote the value, use and benefits of Medford parks, recreational facilities and programs. Raising funds to support park and recreation programs, facilities, and services. Promoting the value and benefits of our city parks and recreation programs. Providing opportunities for partnerships with other community organizations. Supporting park programs that educate our community, especially our youth. To raise awareness and visibility of the Parks Foundation in order to identify and engage supporters who will form a broad base of members and donors.